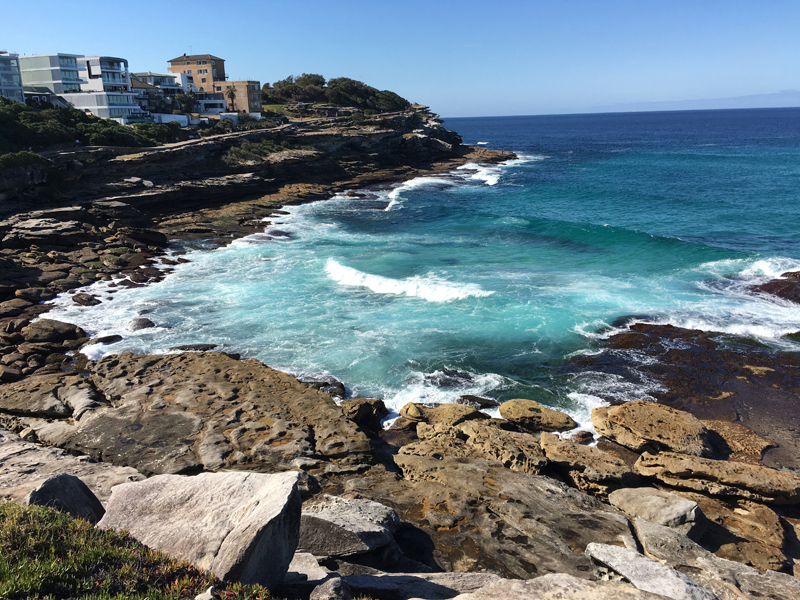 There is an awesome clifftop coastal walk from South Coogee to North Bondi that Heidi and I love to do whenever we are back in Australia. 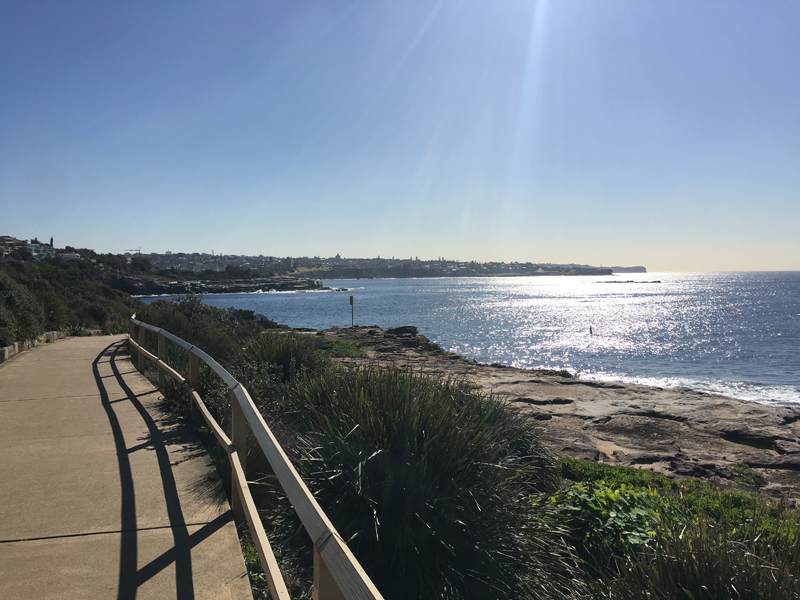 Total distance is around 8km if you start at the South Coogee Boardwalk at the bottom of Cuzco Street, and finish at the North Bondi RSL Club. If you get a chance you should check it out. The scenery is spectacular. 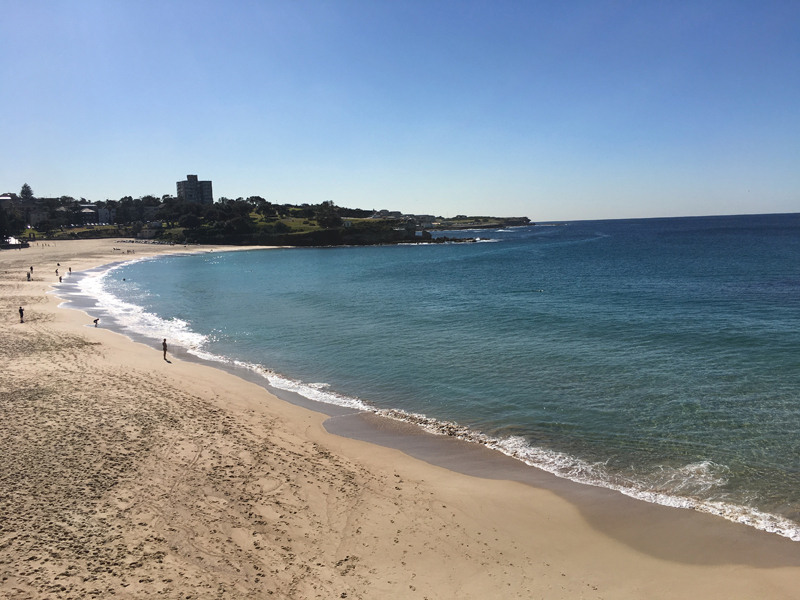 Coogee Beach is one of the calmer beaches on the Eastern Suburbs. The smaller waves make it more family friendly especially for people with small children learning how to swim. 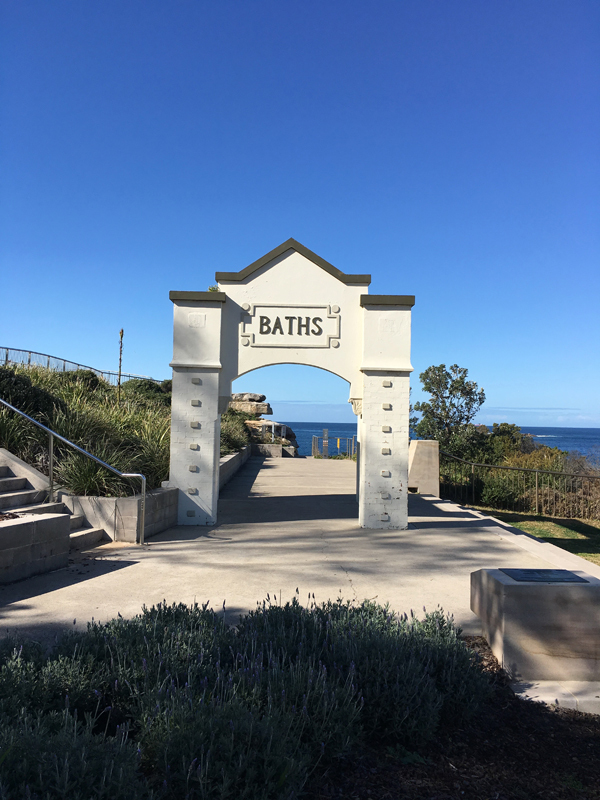 Giles Baths at North Coogee is a natural rockpool that can be a little rough during strong surf conditions. I am not a huge fan of Clovelly. In my opinion the excessive concreting around the beach has ruined the natural beauty of the cove. It is a great place to learn how to scuba dive though. 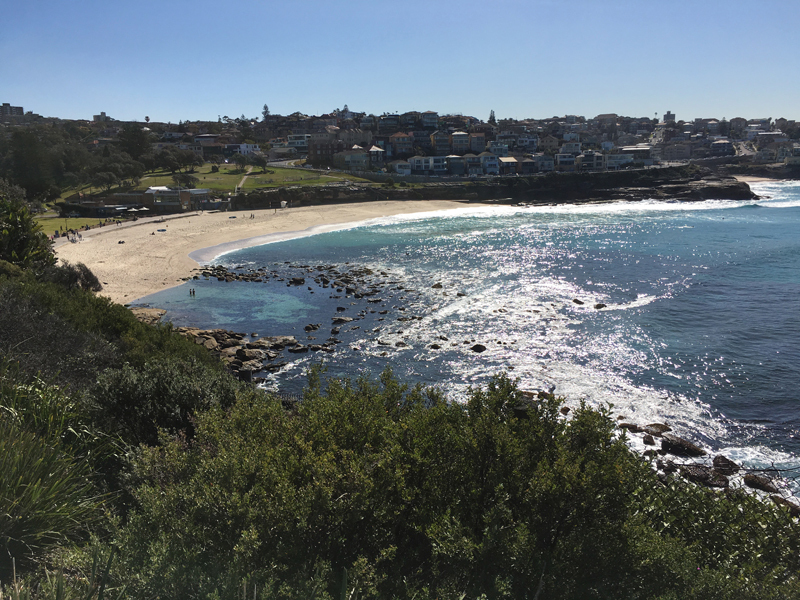 Bronte is another small wave beach that is family friendly. 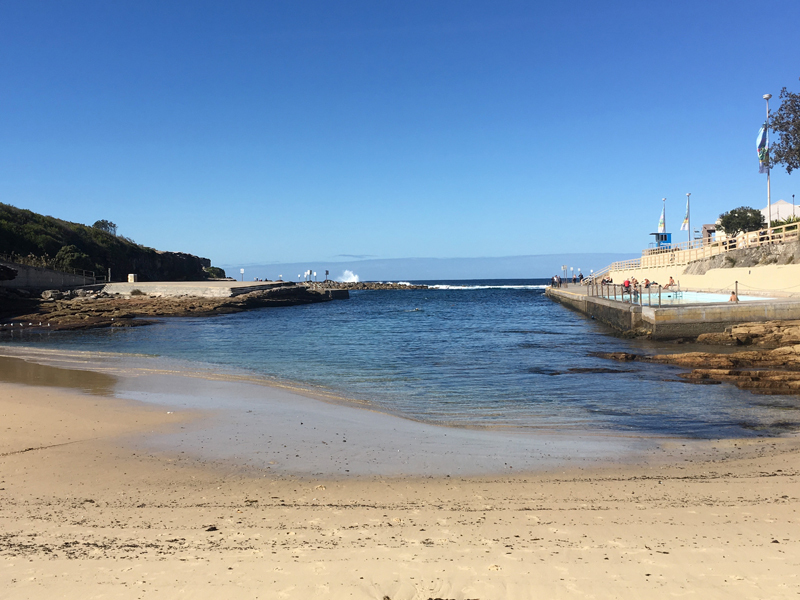 The Bronte to Coogee Aquatic Reserve, stretching from South Bronte to North Coogee, is approximately 100m offshore and offers excellent scuba diving opportunities. It is an environmentally sensitive area and fishing is prohibited. If you are lucky you may meet one of our iconic blue gropers who, despite their size and appearance, are harmless to humans. 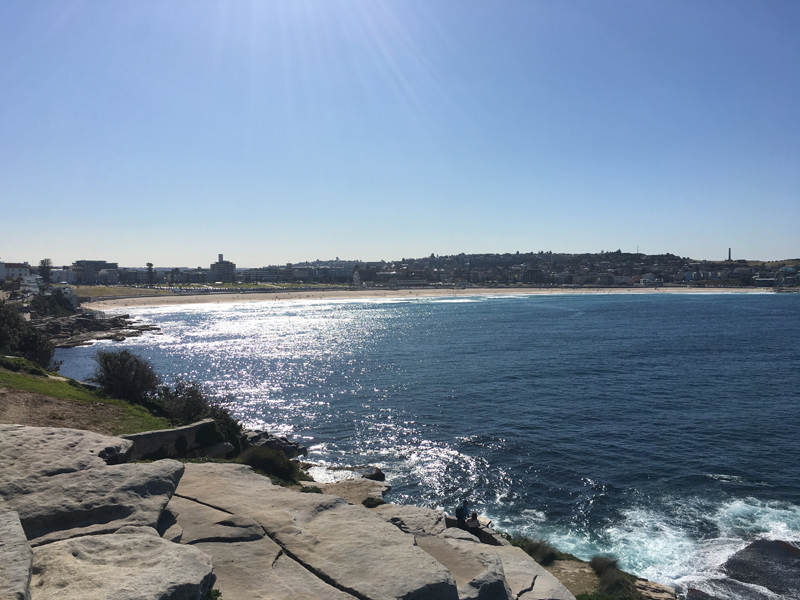 The view of Bronte Beach from Bronte Park to the south. 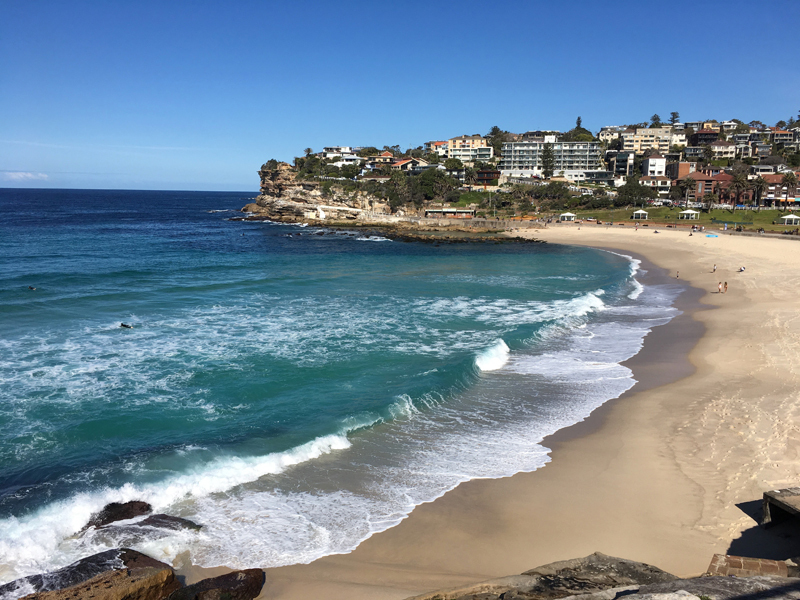 Nicknamed ‘Glamourama Beach’ back in the 1980’s when Elle McPherson was spotted bathing there, Tamarama has around 80m of shoreline and better surf conditions than Coogee or Bronte. 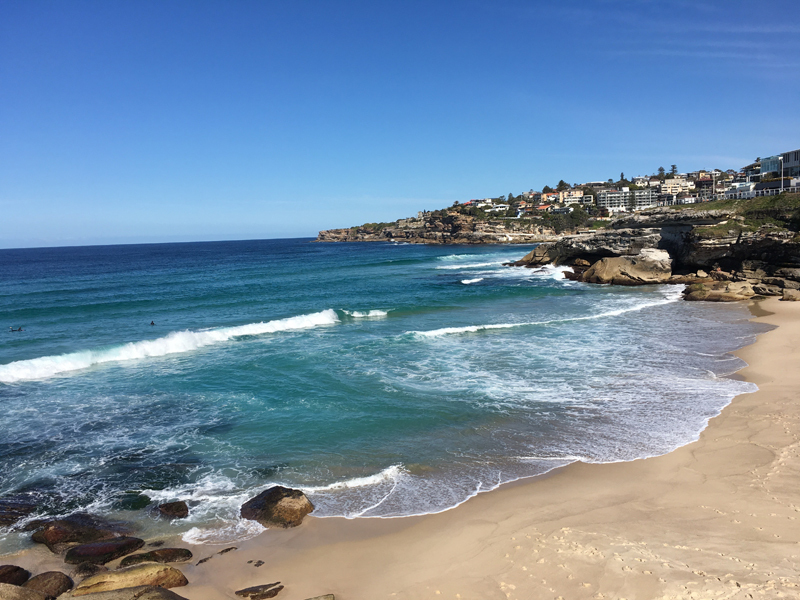 Tamarama is prone to strong currents though so please ensure you swim between the flags and know your capabilities in the surf. 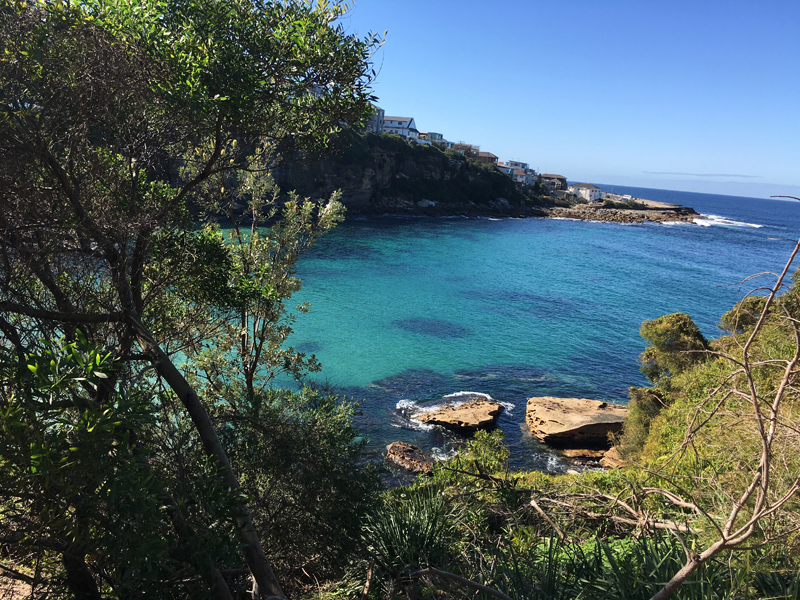 The view of Tamarama Beach from Gaerloch Reserve to the south. 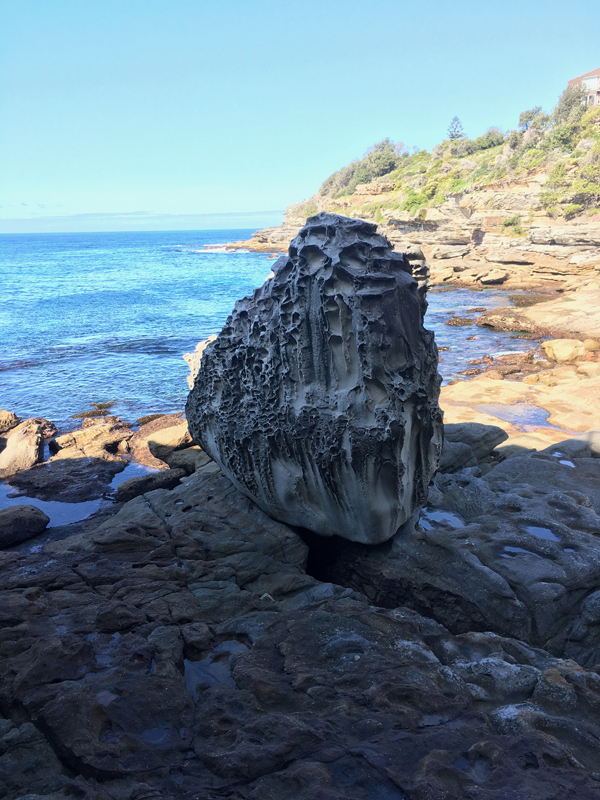 One of the smallest beaches in NSW, MacKenzies Bay is a bit of an enigma. Every seven years a mysterious sand dump arrives at MacKenzies Bay turning it into a beach. 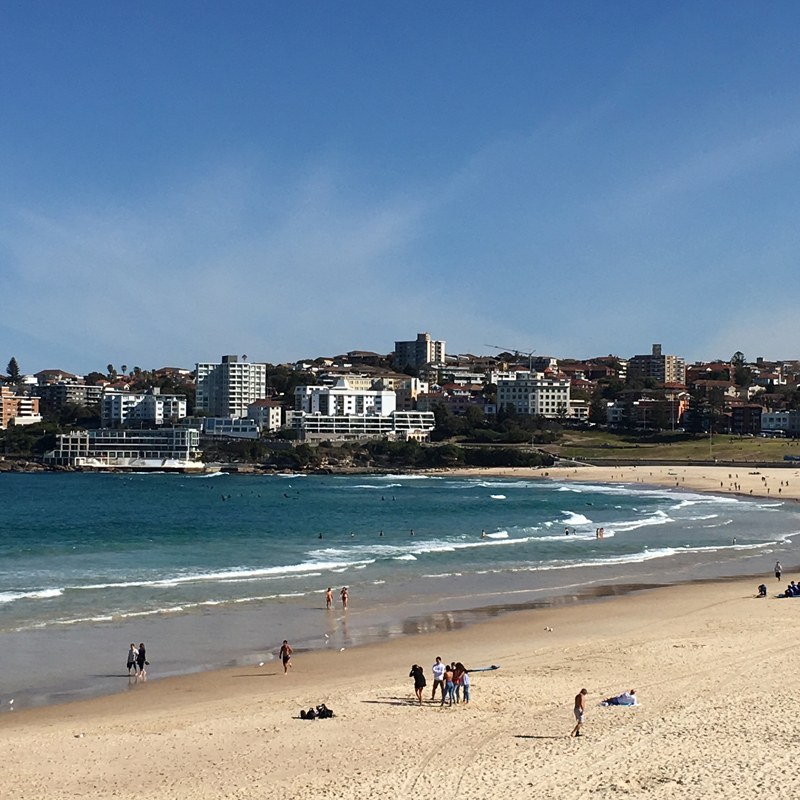 According to Bondi folklore no one knows exactly when the sands will arrive and it certainly doesn’t last long. In 2007 the sands washed in in May and were gone by November. The phenomenon occurred again in October 2016 and made news around the country. Unfortunately I have not had the privilege to witness this event first hand. 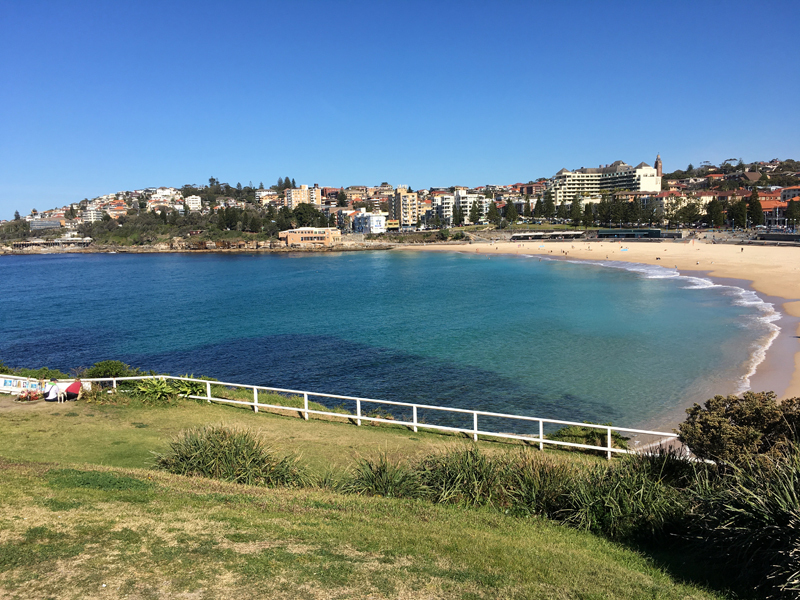 The small bay that proceeds your arrival at Bondi is called Hunter Park. 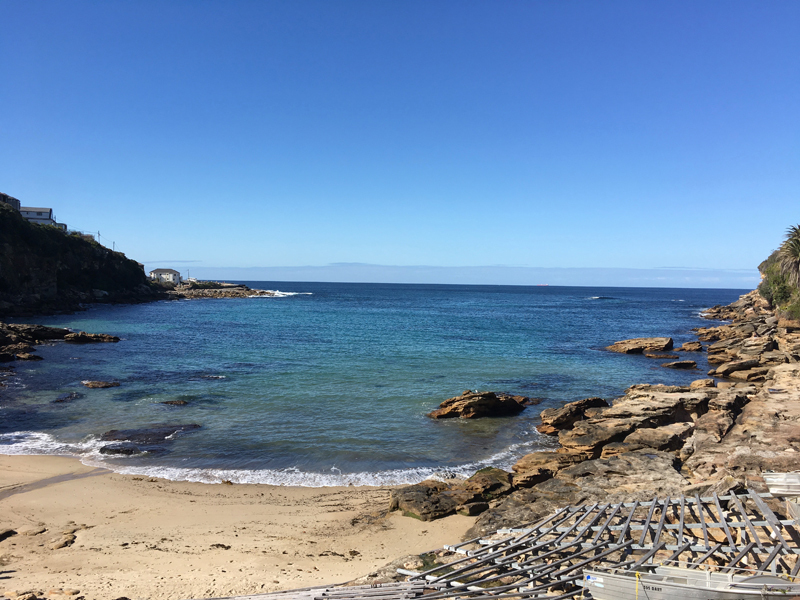 Swimming is not advised because of the rocky outcrop, however it does make a great backdrop for the annual Sculptures by the Sea event. At last you arrive at Sydney’s most well known beach. 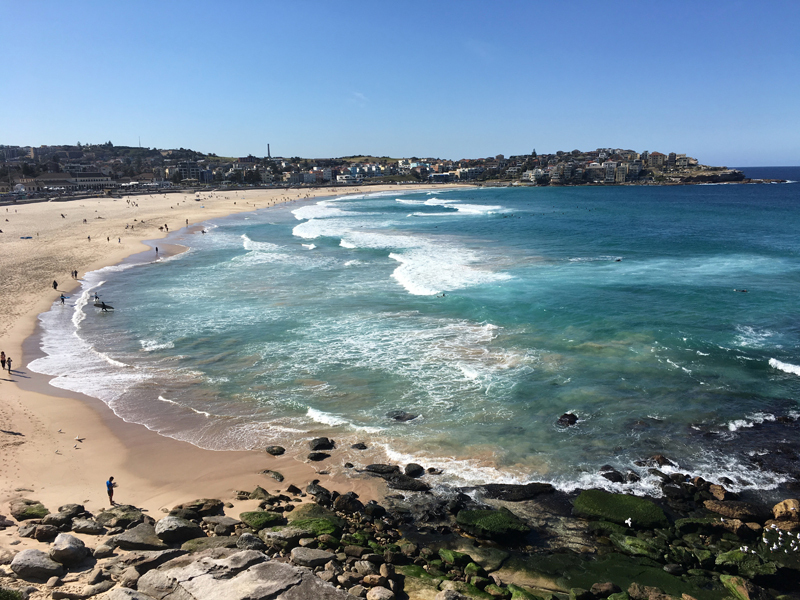 With great surfing, swimming and sunbathing, Bondi has become synonymous with Australian lifestyle. 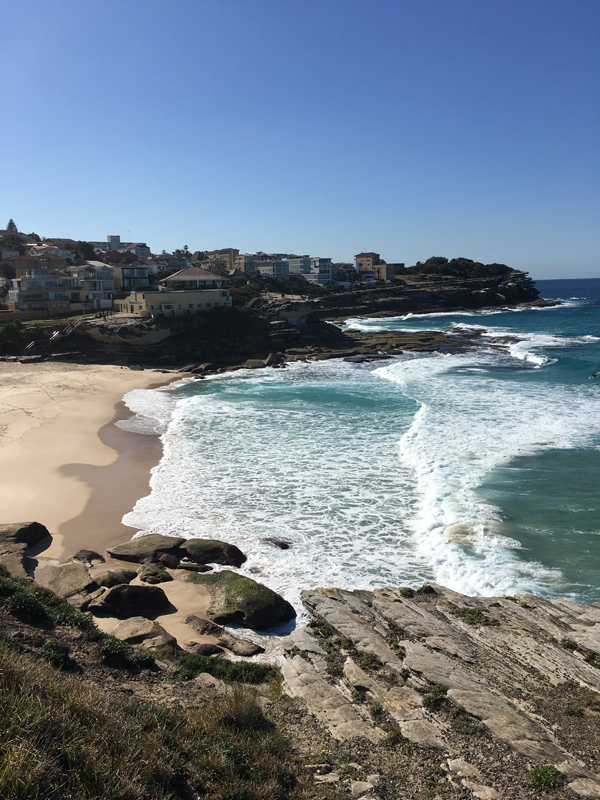 Like all Aussie beaches however, Bondi can be just as hostile. On the 6th February 1938 huge unexpected waves crashed into the 35,000 visitors on the beach washing many people out to sea. Around 250 people we rescued by surf lifesavers in what would later be known as ‘Black Sunday’. Incredibly only five lives were lost, but this is a stark reminder that you should never turn your back on the surf. There are hostels, hotels and apartments for accommodation, fantastic restaurants and cafes and plenty of nighttime activities to enjoy. 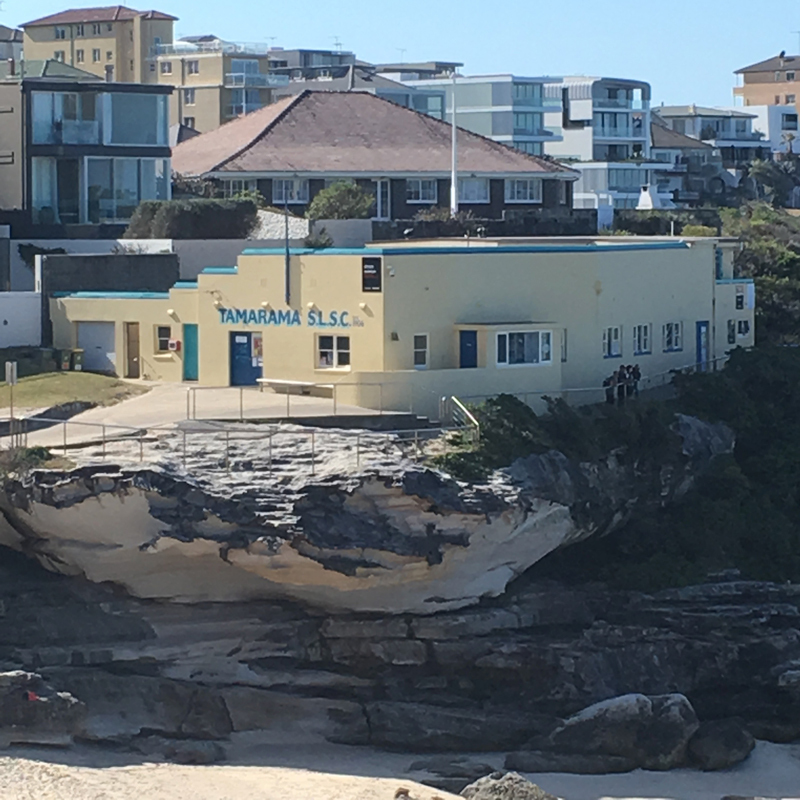 Bondi, Tamarama and Bronte are home to some of the oldest surf lifesaving clubs in Australia and at the south end of Bondi stands the Bondi Icebergs Club with great facilities and an excellent menu, albeit a little pricey. At the end of our walk Heidi and I enjoy a beer at the North Bondi RSL, sitting on the outside deck and watching the world go by. If you see us there someday come and say g’day. Breathtaking walk or run. My absolute favourite in Sydney. By a long shot.